MOÅ is an all natural infused vodka, flavoured with kaffir, ginger and bergamot: beautifully rich yet light and refreshing. Distilled in the second oldest distillery in the Netherlands: Onder De Boompjes, originated in 1658 and still privately owned. Onder de Boompjes produces various types of genevers, gins and other liquors with their astounding experience. Combined with IMA’s extensive knowledge of marketing and the Millennial target group both companies put their hands together to develop and launch a successful product from scratch. And so, MOÅ was born. IMA is the leading influencer marketing agency in Europe. We develop influencer marketing strategies for brands, building on the reach and authority of the new generation of ‘digital influencers’, such as bloggers and vloggers. Since the launch of IMA, we have built up a strong international client base within the fashion and lifestyle industries (i.e. Diesel, Calvin Klein, KLM, NIVEA, Tommy Hilfiger, Esprit, TomTom). IMA is at the forefront of the new developments in digital influencer marketing, and is experiencing rapid growth throughout Europe. Our headquarters are located in Amsterdam, overlooking the canals. We have a young, energetic and international team, consisting of 85+ dedicated professionals. You are in charge of events focussed on Millennials on which you will promote MOA vodka. 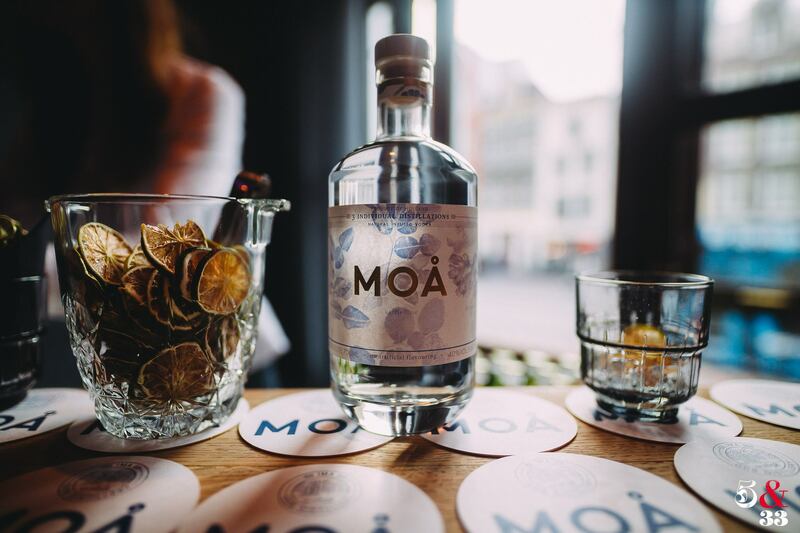 You will collaborate with existing or new restaurants and bars to promote MOÅ vodka. You will communicate with the distillery ‘’ Onder de boompjes’’ on a daily basis. You will be responsible for arranging collaborations with influencers on a daily basis. You have to work with monthly KPIs. You will be responsible for the social media strategy of MOA vodka. Creative, organised, social, energetic, pro-active student. You know how to deal with budget planning. As an Project Management intern for MOÅ, you will manage all daily activities regarding the branding & marketing for MOÅ Vodka. You will be a driving force within the MOÅ team and available at least 3 days a week.